When it comes to makeup brushes, I look for ones that are high quality and also have impeccable softness. My usual kit is a combination from MAC, Kat Von D and even a few generic brands that I use. The most affordable from the lot is my eyebrow brush from e.l.f. which you can purchase, here. I couldn't help but buy these beautiful Tarte brushes because of the intricate, ornate design that captured my eye. I'd have to say that I was pleasantly surprised at the quality, it picks up pigments really nicely and apply smooth. I almost felt a little guilty for using these brushes for the first time, it's kind of like taking a brand new car out to a busy car park - you know that it can't be scratch free forever. I can be pretty lazy at cleaning brushes, I used to buy the MAC brush cleaner, as the brushes dry quickly from the solution. However, it's not the cheapest of options for brush hygiene - a few months ago I switched to baby shampoo and was shocked that it worked even better at getting my brushes squeaky clean. My bronzer discoloured my contour blush brush but after using the baby shampoo, it's restored to it's crispy cream colour. 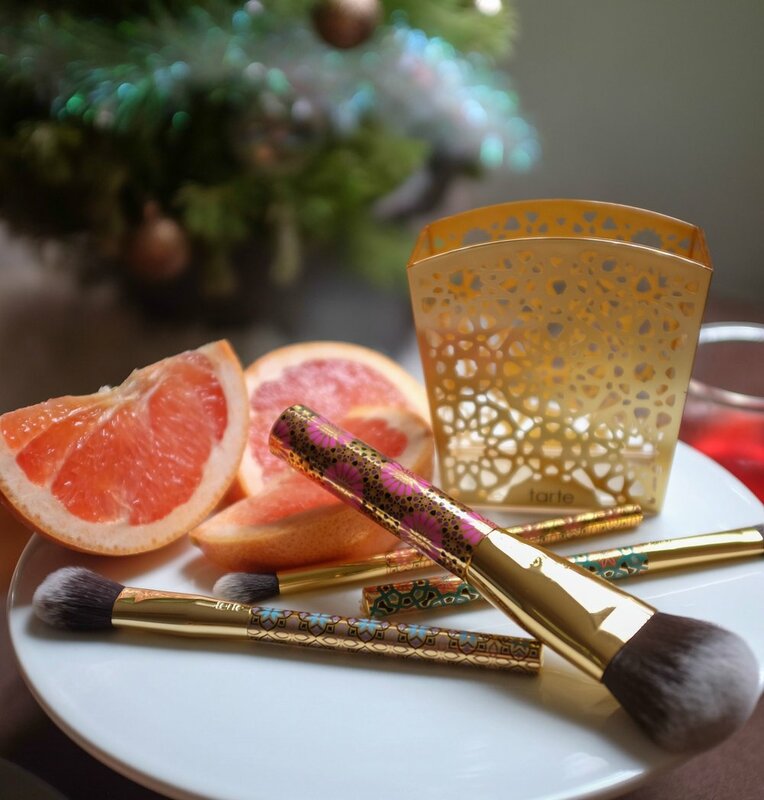 Have you tried these Tarte brushes? Even if you have an abundance of brushes already, I personally think they're perfect for travelling or the set for your desk at work.